As tickets to the Concours of Elegance 2017 go on sale, some of the first world-class cars attending have been confirmed, including the very first Bentley to race at Le Mans: the 3 Litre #141. This car, coming to Hampton Court Palace all the way from Australia, helped lay the foundations for a run of Le Mans 24 Hours wins for Bentley, who went on to victory in 1924, ‘27, ’28, ’29 and ’30. Bentley 3 Litre chassis #141 was first built in 1922, completed with a four-seater Park Ward body, and entered the very first Le Mans 24 Hours race in 1923, where it placed fourth. Bentley was back at Le Mans in 1924, where it took overall victory in the first of five wins over the next seven years, securing Bentley and the Bentley Boys a place in motorsport history. 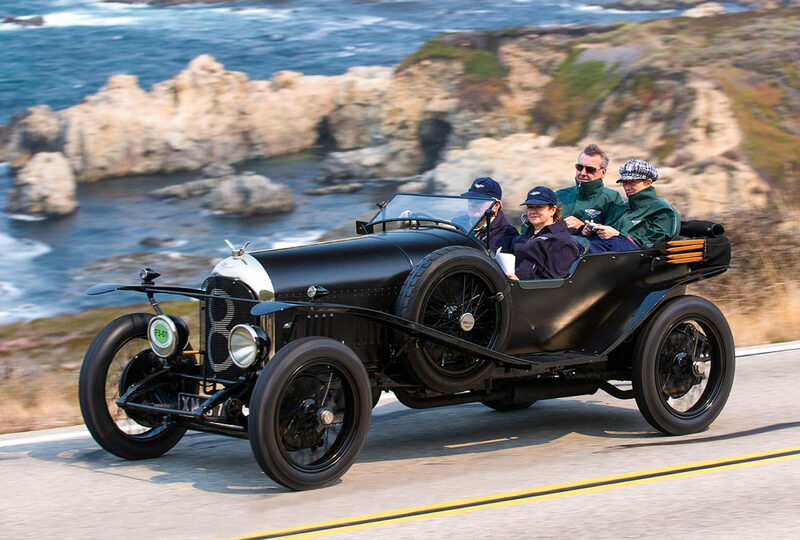 The Concours of Elegance always tells the complete story of the motor car, and 2017’s event is no different, gathering a collection of the world’s rarest cars from the turn of the Century to the modern day. Representing one of the earliest on display, is the 1903 Panhard-Levassor. A rarity in itself, this car is all the more special because it’s been in the same family since new, marking 114 years of careful ownership. The Concours then travels through the world’s most legendary road and racing cars from the likes of Alfa Romeo, Bugatti and Ferrari, before reaching the 1958 Maserati 300S, famously driven by Sir Stirling Moss to two race victories in the ‘50s. The poster cars of the ‘70s and ‘80s will also be on display at Hampton Court Palace from 1-3 September alongside some of the latest and most exclusive models currently on the road, including the Aston Martin Vanquish Zagato. This car – one of just 99 – is based on the V12-powered Vanquish but features a bespoke carbon fibre body designed by Italian coachbuilders, Zagato. For the first time at the Concours of Elegance, many of the cars on display will be taking part in moving parades over the weekend, including a trip to the event’s new central stage. Featuring commentary and interviews with some of the world’s foremost motoring experts, the stage will provide a focal point for all visitors to the Concours of Elegance. As well as the cars in the main display, visitors will also be treated to a parade of pre-1904 cars, a range of ultra-exclusive supercars and a variety of displays from the nation’s best car clubs. More detail on the additional features will be announced in the coming months.